Major Announcement have been made that Team SII Captains Dai Meng and Mo Han has announced stepping down with immediate effect. Let us thank them for their 3 years and 4 months of service as captains to Team SII. 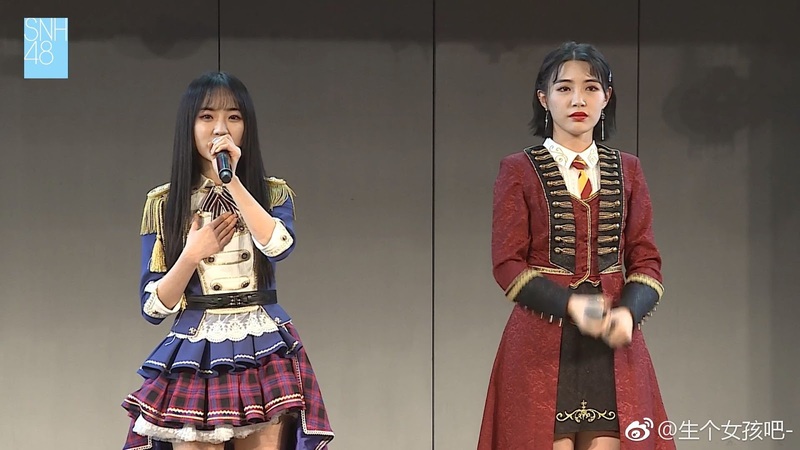 Team SII straightly announces their newest captain is Qian BeiTing. The new vice-captain of the team will be announced at a later date. On last night SNH48 show (01/26/2018), there was an announcement that surprised fans. Two SII Team members who were none other than the captain and its deputy Dai Meng and Mo Han step down from their positions. All spectators present respect the decision taken by both.